Password on Login and Transfers. 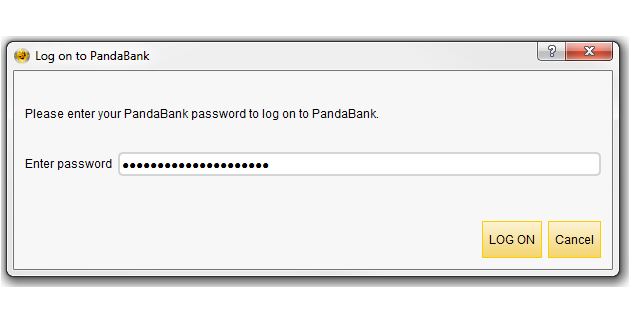 If you share your computer or laptop with other people, you can rest easy knowing that your Pandacoins are safe by requiring a password to login to your PandaBank and when transfers are made. It’s Easy Creating New Pandacoin Accounts. To store your Pandacoins, you must create a new Pandacoin Account with a supplied Pandacoin Account Address. Simply decide what to call the new Pandacoin Account (ie John Smith Mining), press create and you can transfer your Pandacoins to your brand new account! 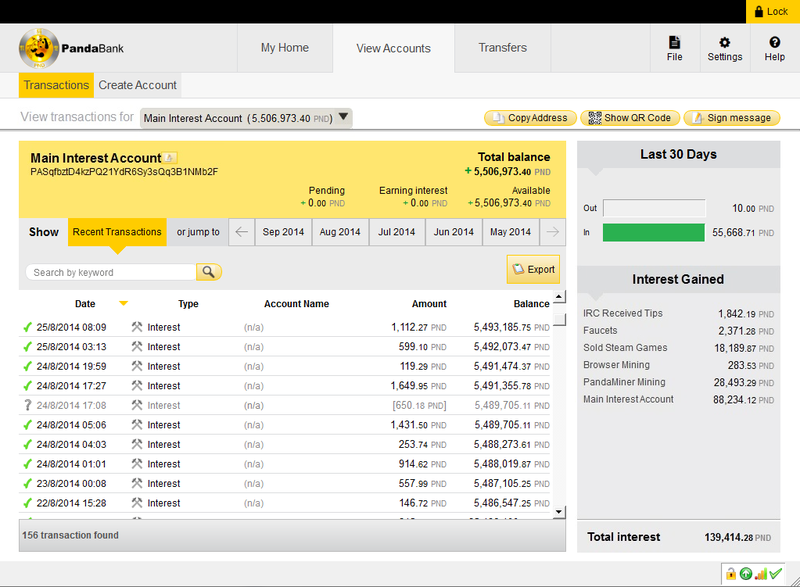 Track Individual Account Balances and Transaction History. PandaBank is designed so that you can open different PandaBank Accounts and easily track and view each individual account balances and transaction history. It functions similarly to how you would expect cryptocurrency banking to work. 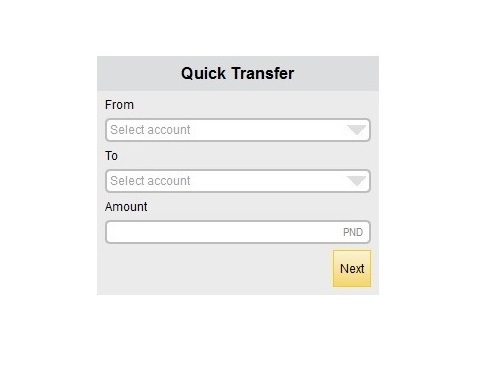 Send Pandacoins Fast Using Quick Transfer. You can conveniently send Pandacoins across the globe in just minutes by using the Quick Transfer function that is on the default ‘My home’ page. All you have to do is select the Pandacoin Account to send Pandacoins from, select the Pandacoin Account that you have saved on your address book to send Pandacoins to, and press ‘Next’! Track Incoming vs Outgoing Pandacoins on each Individual Account. 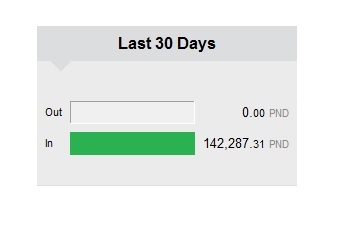 Easily see how much Pandacoins is entering or exiting on each of your individual Pandacoin Accounts in the last 30 days with our graphical summary. Track How Much Interest You Have Earned on each Individual Account. You can easily track the total amount of interest that you have accrued on each individual account. Great to keep track of your 2.5% annual interest progress over time! 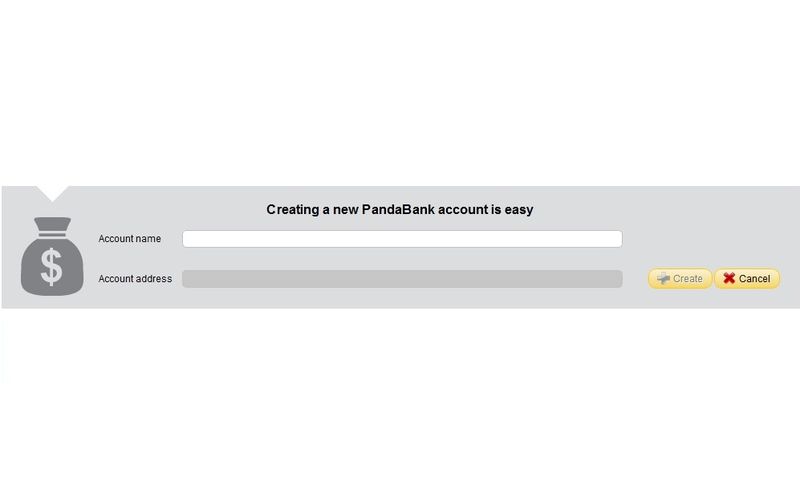 Manage and Transfer Pandacoins Between Your Own PandaBank Accounts. 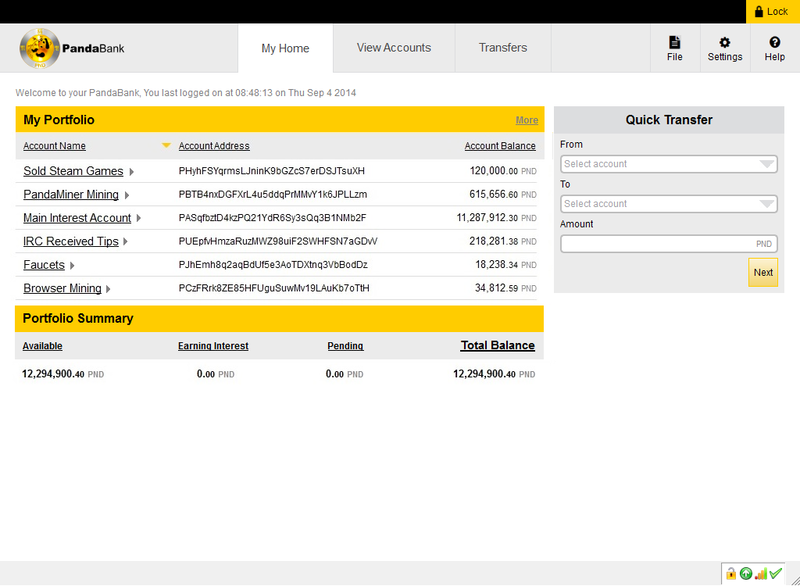 With PandaBank, you can manage and transfer your Pandacoins between your own PandaBank accounts. This is especially useful if you want to have different accounts for mining, faucets, tips, selling things with PND and more.